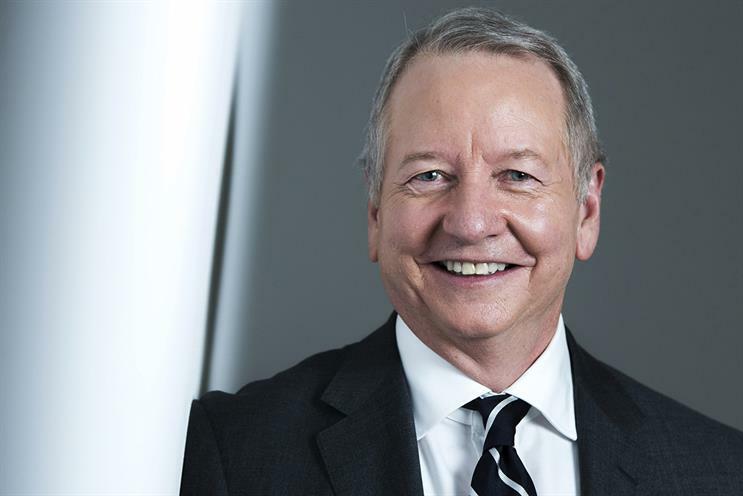 John Seifert talks to Kate Magee about the future of the Ogilvy name and what it stands for in today's ad industry. In a world of portfolio careers, John Seifert is of that increasingly rare species: a loyal employee. He joined Ogilvy & Mather as a summer intern in 1979. Now, 37 years later, he has taken centre stage as its worldwide chief executive and, as of this month, chairman after his predecessor, Miles Young, left to become warden at New College, Oxford. Seifert will be the last person in the post who has worked with all previous eight chairmen of the company, including founder David Ogilvy. So it is no surprise, then, that his vision is not one of radical change for the global network but more about ensuring it lives up to its heritage. Seifert, though, concedes that building brands has become more challenging and requires a change in the way agencies operate. "Every single one of our clients is asking for the same thing – make it easier to do business with you, make sure you have the talent and skills for the modern marketing world, and be quick," he says. "Clients don’t want to pay us less, in truth – but they do want to pay us fairly for what value we create. We just have to be totally accountable for that." That will call for some internal changes at the network, one of which will include rationalising the number of O&M subsidiary brands. "I think we have one brand and that’s Ogilvy. Over time, we have created lots of different entities that have Ogilvy in their name. But in a world that has got so complicated and so fragmented, I’m not sure that all those different entities signal to the market the brand promise of Ogilvy," Seifert explains. "We absolutely will focus on simplifying the offering. We’re still working on what the right brand naming is in the modern marketing world but I know it will be different from what it is today." The first casualty may have been Ogilvy Labs, the innovation facility that was closed in the summer. While the official argument was that innovative thinking was, and should continue to be, baked into all parts of the business, the demise of the division received some criticism. Seifert stresses the changes do not mean the group will start taking a generalist view of the world – "we are not going to dumb things down" – but will make it easier for specialist staff to collaborate. Other areas of focus include digital transformation and diversity – he has put both on the agenda for every management board at the company. "I want to be the most diverse and inclusive group of employees worldwide," Seifert asserts. "More than 50% of our senior managers are going to be women. We’re going to have many more multicultural leaders who represent the world." When asked what the timeline for these changes is, he replies: "I’ve had 37 years of training to be the CEO. We’re going to move fast." He adds: "One of our clients was saying at dinner last night, the consumer is changing faster than this client’s CEO feels that they are. And we feel clients are changing faster than we are. So we have to pick up the pace." Seifert has been at the helm of O&M’s North American operations since 2009 and was previously chairman of the company’s "global brand community" – a group of 25 clients worth more than £1bn in annual revenue. He has also led global brand teams for American Express, BP, DuPont and Siemens, among others. But it is these global relationships – and the "barons" who run them – that have been blamed in the past for impeding the growth of local agencies. O&M London, for one, is on its fourth chief executive in six years. Seifert believes this to be a perceived problem rather than a real issue and that, while there is some "natural" tension between balancing local, regional and global work, this is not insurmountable. "The London market is probably the most famous advertising market. It is a benchmark for the world. I remember living in Asia 25 years ago and everybody had the work of London on their reel and in their library because it set a standard that everyone admired," Seifert says. "The role of London has shifted over time. It used to be this amazing domestic market of great creativity in marketing. Now it is a regional and global centre." But a great agency brand in London needs to be able to perform at a local, regional and global level, Seifert argues, adding that he has the right team in place to achieve this in London. Like other countries, being able to perform on a global level is critical. "What I’ve said to everybody is it’s no longer good enough to be great in, say, Colombia or Argentina," Seifert points out. "Now, you have to deliver a standard that the world admires. A big part of my agenda is to raise everybody up to a common standard of performance." Earlier this year, O&M became the Cannes Lions Network of the Year for the fifth consecutive time. The award has been a key measure of creative success for O&M in the past but Seifert hints that there might be less of a focus on this in the future. "There’s a lot of debate around Cannes right now. It’s really expensive to send all the people that we would like to send there. There are more categories than most people even can name," he says. But he maintains that Cannes remains incredibly important as it has become the convening moment for adland: "So we have to be there, and be there in a compelling way. Whether we win Network of the Year again or not, I want to make sure we are doing work and are building brand cases that the whole world is envious of. "I think creative success is defined by the work. The more work we can do to build our client’s brands, [the more successful we will be] at Cannes." Seifert’s overall goal for O&M is to ensure that it attracts the best global clients, has a diverse workforce and creates a strong portfolio of work. He says: "If we do those three things, I’ll be happy to go play golf."